Alfredo di Stefano. George Best. Ryan Giggs. George Weah. Great players that never played at the World Cup. But there are others who were just as unlucky. They did reach the World Cup, but not in time. They were veterans already, hoping for a final miracle. It didn’t happen. Here are six former world class players that made it to the World Cup a little too late. 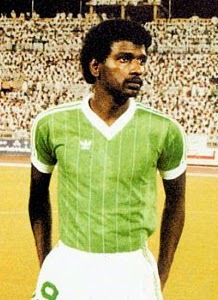 Voted the best Saudi Arabian footballer of all time, Majed Abdullah was one the best soccer players in Asia during the eighties. He was especially successful with the national team of Saudi Arabia, winning the Asian Cup in 1984 and 1988. In the final against China in 1984 Abdullah scored the second goal in their 2-0 victory. Four years later he scored the winning goal in the semifinal against Iran (1-0). The final against South Korea ended 0-0, but Saudi Arabia won after penalties, Abdullah scoring the third. He was also voted Asian’s Player of the Year in 1984, 1985 and 1986. Looking at the World Cup, Saudi Arabia didn’t qualify in 1982, 1986 or 1990. Abdullah played seventeen of these qualifying matches, scoring five goals. During the 1994 campaign Abdullah played three matches: against Malaysia (3-0, 2 goals), Kuwait (2-0, 1 goal) and Japan (0-0). Especially at the end of his career he suffered from a lot of injuries. At the World Cup finals in the United States in 1994 he captained his team against the Netherlands, played reasonably well in the first half after which he was substituted. Abdullah didn’t play against Morocco and his 45 minutes against Belgium were mediocre. He wasn’t picked for the next round, when Saudi Arabia was beaten by Sweden 1-3 and was knocked out of the tournament. Minutes played: 1 match, 90 minutes. Denis Law of course is one the greatest footballers of the sixties. As a young boy he moved from Aberdeen to England, to nearby Huddersfield Town. He was capped for Scotland the first time in 1958, and after stints at Manchester City and Italian club AC Torino, he was transferred to Manchester United in 1962. He was European Footballer of the Year in 1964, league champion in 1965 and 1967, but missed the European Cupfinal in 1968 through injury. With the national team, Law failed to qualify in 1962, 1966 and 1970. For the 1974 World Cup, Law played only the two matches against toughest rival Czechoslovakia. 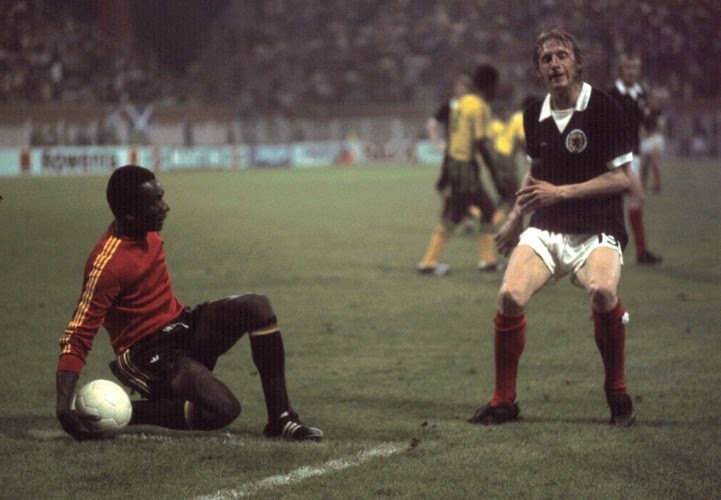 But finally Scotland topped their group and had great expectations of the World Cup in West Germany. Law played in the first match against Zaire (2-0 victory), but was dropped for the next matches against Brazil and Yugoslavia. In 2006, Law took a trip down memory lane for The Scotsman: “I didn't think my exclusion was merited as I felt I'd played well enough against the Africans to keep my place, or at least to play a part in the Brazil game. But I accepted it, and I have some good memories from that time. Law's 55 caps was a Scottish record, his 30 international goals still is. Kenny Dalglish got his 56th cap in 1978 and equaled but never surpassed Law’s 30 goals in 1984. Carlos Pavón was eight years old when Honduras made it to the World Cup for the first time. Players like Gilberto Yearwood, Athoney Costly and Roberto Figueroa put Honduras on the map. Ten years later, Pavón started a career that would outshine all of them. He played for years in Honduras, but also in Mexico (seven seasons), Spain (one season), Italy (two seasons) Colombia (one season) and the United States (one season). With the national team, Pavon failed to qualify for the World Cup in 1998, 2002 and 2006, playing 28 matches and scoring 18 goals. During the 2002 campaign the lethal striker managed to score ten goals, but was kept out of the tournament by Costa Rica, Mexico and the USA. For the 2010 tournament Pavón made a final attempt. He played nine matches, scoring seven goals. In the meanwhile he was already the top goal scorer of his country with 57 goals. The final tournament in South Africa proved to be a big disappointment for veteran Pavón. While he was hoping to top his career with a great performance at the world stage, Pavón was substituted in the 60th minute of the first game against Chile. 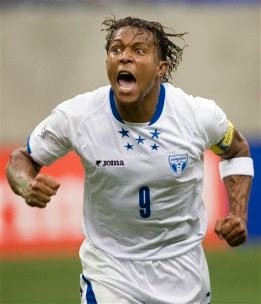 He didn’t get another chance and Honduras failed to make an impression scoring no goals in three matches. The failure of England not qualifying for the 1974 and 1978 World Cup was certainly the biggest disappointment for Kevin Keegan in his career. Especially 1978 would have been great, as he was crowned European Footballer of the Year in 1978 and 1979 for his performances at Liverpool FC and Hamburger SV. After 1980, he was still a good player. He proved it at Southampton in the 1981-82 season, which he ended as top goal scorer with 26 league goals and winning the Player of the Year Award. So Keegan could become a World Cup hero after all, as England managed to beat Hungary in the qualification group for Spain 1982. But he didn’t, as he suffered from a chronic back injury just prior to the World Cup. He even consulted a German doctor he knew from his time in Hamburg. Still, it was not enough to get him injury free at the start of the World Cup. So England played the first round without him. 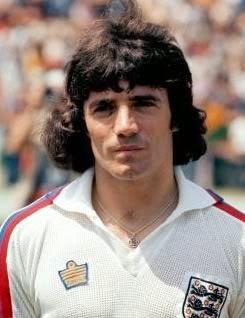 Keegan did eventually play in England’s second match of the second round against Spain, coming on as a substitute for Tony Woodcock. He had one hard to miss chance, but headed the ball wide. It was Keegan’s 63th cap, and his very last. Minutes played: 1 match, 23 minutes as a substitute. Midfielder Theophilus ‘Doctor’ Khumalo made a name for himself at South African club Kaizer Chiefs. He was vital in their league winning campaigns in 1989, 1991 and 1992. Those were his best playing years, just before South Africa was allowed to rejoin the FIFA family in 1992. Khumalo of course was picked for the very first official international game, against Cameroon. South Africa won 1-0 and Khumalo scored the only goal, a penalty. In 1996 Khumalo was an important part of the team that surprisingly won the Africa Cup, playing in five of six matches, only missing the match against Egypt when South Africa was already qualified for the quarter finals. 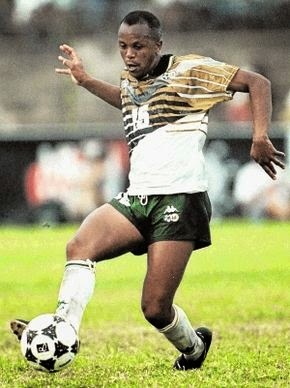 By 1998, when South Africa got to the World Cup for the very first time, thirty year old Khumalo was past his best. So the 'doctor' of course was in the squad, but only played 23 minutes as a substitute in the last match. Without making any kind of fuzz, which is a bit sad for such a player. Denmark was a small soccer country since the early fifties. So it wasn’t a big surprise they mostly failed at qualifying for the World Cup. But during the seventies their chances slowly improved. At Borussia Mönchengladbach Henning Jensen and Allan Simonsen were making headlines, a few years later Sören Lerby and Frank Arnesen did the same at Ajax. Simonsen had tremendous pace which suited the play of Mönchengladbach very well. He was at his peak in 1977, when he won the European Footballer Award. In 1982, while at Barcelona, he became the first player ever to score in the final of all three European Cups (Champions Cup, Cup Winners Cup and UEFA Cup). 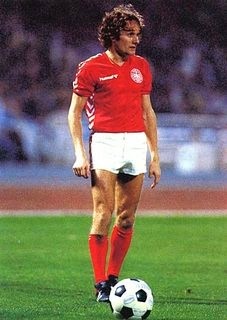 In 1986, Simonsen was already a few seasons back home with his first club, Vejle BK, but was still playing for the national team. He only played 45 minutes during the qualification rounds for Mexico, but was picked for the 22 squad anyway. The tournament itself went very well for first timers Denmark. They won their first two matches and were already through to the last sixteen before the match against West Germany. Coach Sepp Piontek gave 34-year old Simonsen 20 minutes as a substitute against the country that made him a star in the first place. You say these players were 'just as unlucky' as those that didnt play in a World Cup. It should be 'not as unlucky' as at least they got the chance.